Nahuatl plays a critical role in the development of critical thinking and global inclusiveness for our students. With opportunity for both Nahuatl immersion and Nahuatl language enrichment, students at Anahuacalmecac can continue to think and live holistically. To Indigenous Peoples, maternal language is fundamental to a complete and just education. All students also learn Spanish and English through a modified dual immersion methodology which provides instructional time in all three languages of instruction. The Nahuatl linguistic and cultural paradigm represents a direct link to the customs, history, and way of thinking of one of the Americas’ most influential cultures, the Toltec and Aztec diaspora. In addition to becoming fully bilingual in English and Spanish, Semillas students learn Nahuatl (Aztec). Semillas used to offer courses for our students to learn Mandarin, however, due to budgeting limitation, the language course has been placed on hold indefinitely. In the summer of 2008, thirteen Anahuacalmecac students and several teachers visited sister school, Guangqumen Middle School, one of the top middle schools in Beijing to deliver L.A.U.S.D.’s recognition of the sister school relationship and finally meet Chinese students they corresponded with throughout the school year while attending Anahuacalmecac’s middle school complement, Academia Semillas del Pueblo. As with Spanish, Nahuatl is the maternal language of a significant number of our students. Our philosophy of utilizing multi-lingualism to engage our students is rooted in our desires to enrich not just our community, but humanity as well. The teaching of English, Spanish, Nahuatl, and Mandarin is far more than an academic exercise. Language study provides an encounter with different worldviews and the ability to better analyze world cultures from different perspectives. Consequently, our students will be trained to serve as leaders of the growing international community in the United States and abroad. The Dual-Language Enrichment school wide methodologies implemented by Academia, logically have unique elements guiding its implementation. First and foremost among these unique qualities are the linguistic character, history and needs of the community we are serving. According to Los Angeles Unified School District school profiles published on their website, most schools in the East Los Angeles area serve close to or above 60-70% Spanish-language speakers (ELL's). Moreover, based on our informed judgment and experience we believe that the majority of the 30-40% English language speakers (EO's) have family members, often their own parents, who speak Spanish as a primary language as well. In addition, a significant number of Mexican families in Los Angeles also speak a native language as a maternal language, others as a second language and yet others as their only language. The presence of this linguistic diversity adds depth and strength to the Dual Language Enrichment program at Academia. Academia embraces our community's linguistic diversity in several ways. Academia has adapted the 90-10 model of Dual Immersion in order to include English-speaking students at different levels of English fluency. In other words, Chicano families (Mexican families with more than one generation of residency in the U.S.) who have lost Spanish fluency can enroll their children in our school in order to learn their maternal language and English. Our school's experience has shown that through our model our students are gaining English fluency at a faster pace than their peers in surrounding schools. Moreover, multilingual education has demonstrated increased cognitive ability among children in recent neurological research. Although often questioned in the United States, multilingual education is the norm around the world, and placing many monolingual American students at a competitive disadvantage in the twenty-first century. Tempes, 1985; Krashen and Biber, 1988. The importance of Indigenous language survival is a central tenet to Semillas’ mission and a focus of our Regenerative Education. The Semillas community has inherited Nahuatl as a mother language. Parents of Semillas students reaffirmed the importance of teaching and learning Nahuatl in school through various means, most notably, through a plebiscite conducted on May 30, 2006. Nahuatl is a group of related languages and dialects of the Aztecan branch of the Uto-Aztecan language family which is indigenous to Mesoamerica and is spoken by around 1.4 million people in Central Mexico. 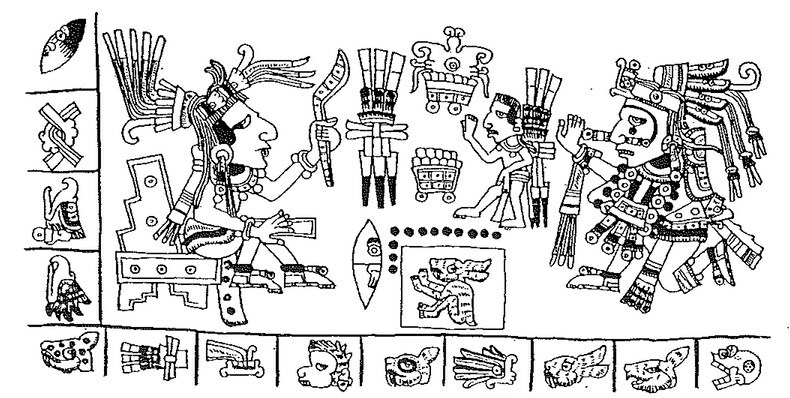 Further, the Nahuatl languages are related to the other Uto-Aztecan languages spoken by peoples such as the Hopi, Comanche, Paiute and Ute, Pima, Shoshone, Tarahumara, Yaqui, Tepehuán, Huichol and other peoples of western North America. They all belong to the Uto-Aztecan linguistic family which is one of the largest and best studied language families of the Americas consisting of at least 61 individual languages, and spoken from the United States to El Salvador. In Nahuatl, our native language, our pedagogy is named Totlamachiliz machtihlotl, a pedagogy that asserts that teaching and learning is a human vocation inescapably grasped by the lived reality and historical relations of all integrands. Tlamachiliz machtihlotl is an autochthonous pedagogy that celebrates our Indigeneity and the Indigeneity of all Native peoples on this continent. In 2006, Semillas received a major federal grant called the Foreign Language Assistance Grant, which provided the organization with over $300,000. Our grant application was rated as fifth highest among over two hundred competitive applicants from across the country. Semillas had developed a model Mandarin Language & Culture Program with the guidance of Dr. Gay Yuen, a leader in teacher education in California. At one time, Semillas taught more students Mandarin than the entire LAUSD. Semillas had also collaborated with the District and several other community leaders in a community-based initiative to expand the instruction of Mandarin in LAUSD with the Committee of 100, the Asia Society, and the Asian Pacific American Legal Center. Additionally, Hanban, an agency of the Chinese Government as well as the Chinese Language Department of California State University, Los Angeles, have recognized our Chinese Language and Culture program. This program helped to bridge the communication gap among neighbors in Northeast Los Angeles as our students often act as interpreters and even ambassadors for their families when interacting with neighbors of Chinese origin.